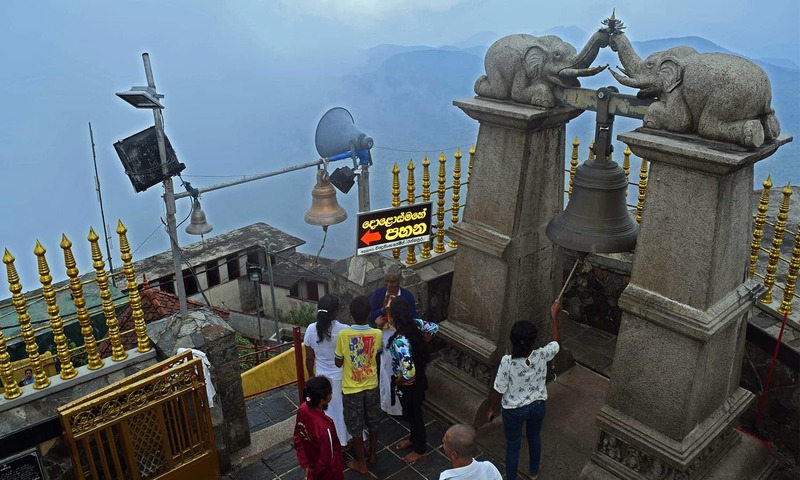 MASKELIYA: Often, religious sites are marred by a dispute between different believers, each claiming their ownership over the sacred place for their faith. 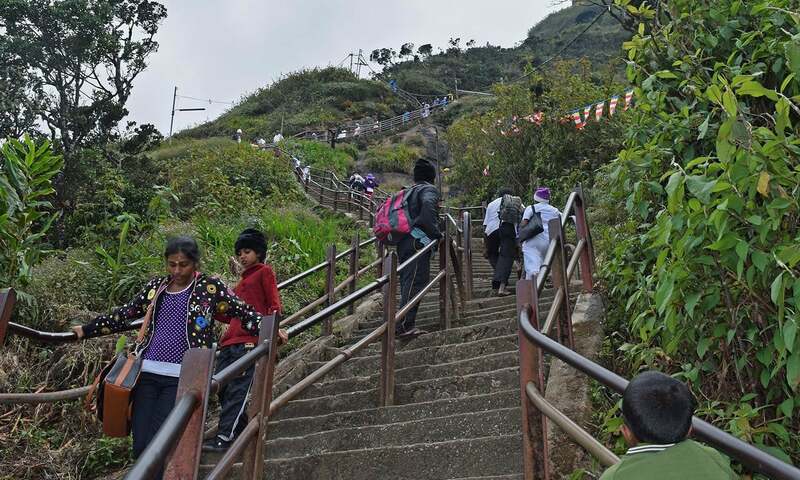 But there is a place equally revered by several religions: the Adam’s Peak, or Sri Pada (the Holy Footprint) in Sri Lanka. Believers of many faiths, as well as those who have none, pay pilgrimage to the Peak, respecting each other. 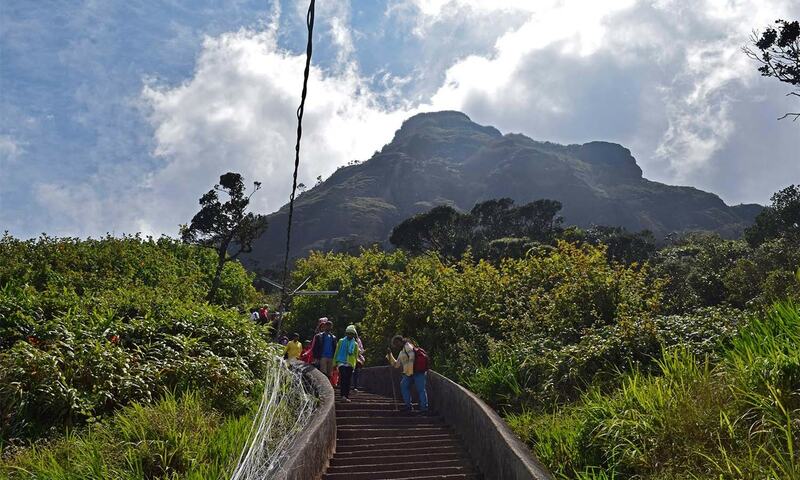 Sacred to four religions—Islam, Buddhism, Hinduism, and Christianity—the 7,360ft Adam’s Peak has attracted devotees daily for over a thousand years. For Buddhists, the 5ft 11 inch footprint on a rock atop the peak is Lord Buddha’s; Hindus trace it back to Shiva. It is also attributed to be St Thomas the Apostle’s by the Portuguese. Muslims and Christians, meanwhile, believe that footprint belongs to Prophet Adam. 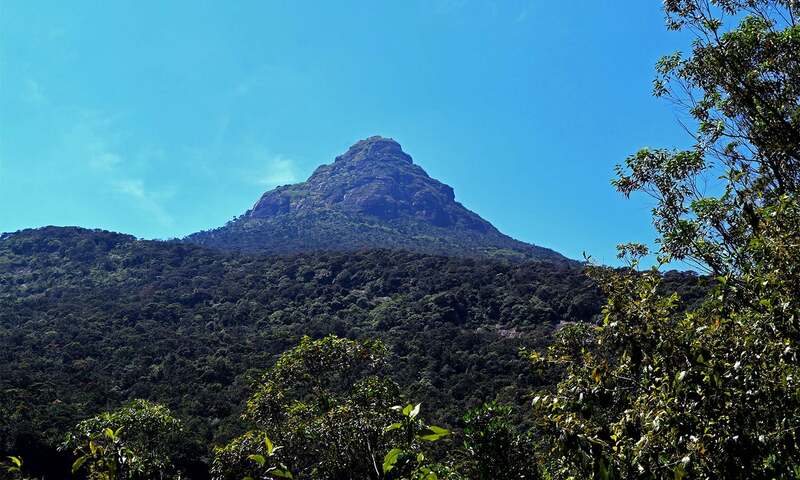 They believe that when Prophet Adam was taken out of paradise and placed in the world, he landed on this peak in Sri Lanka. Whatever legend one may believe, it is obvious that Adam’s Peak is among the world’s sacred mountains. The site has been a place of worship for kings and commoners alike. 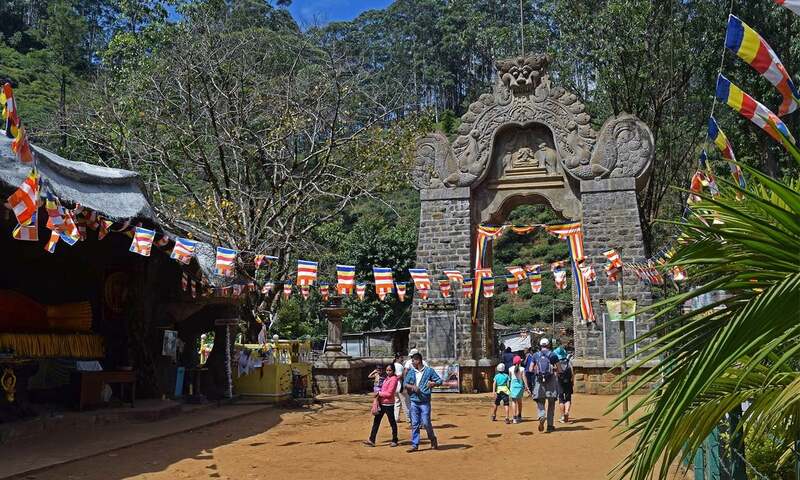 Its pilgrimage season runs during the dry period between January and April, when both Sri Lankans and foreigners visit the mountain for its lush greenery and mountain tracks. Typically, three routes are available to visitors. One takes 10 miles on foot starting from Ratnapura. The other starts from Kuruwita and takes 12 miles on foot, and the shortest begins from Maskeliya and takes around four miles and over 5000 steps. The easiest way, however, is from Hatton, which which lies 32 km southwest. Climbs usually begin at 1am to catch the sun’s rays above the surrounding forest and tea country. This destination arrives after four to five hours of climbing through the night, in darkness. Some do choose to make the ascent during the day, and camp through the night to catch the ceremony welcoming the sunrise. At the summit, climbers ring an old bell to signal their return to the mountain. This could be under the cover of the night, or while watching the peak’s breathtaking view of sunrise. Charlia, an Australian tourist who climbed through the Maskeliya route, had long desired to see the view famed view of dawn. “My dream came true this morning,” she says. 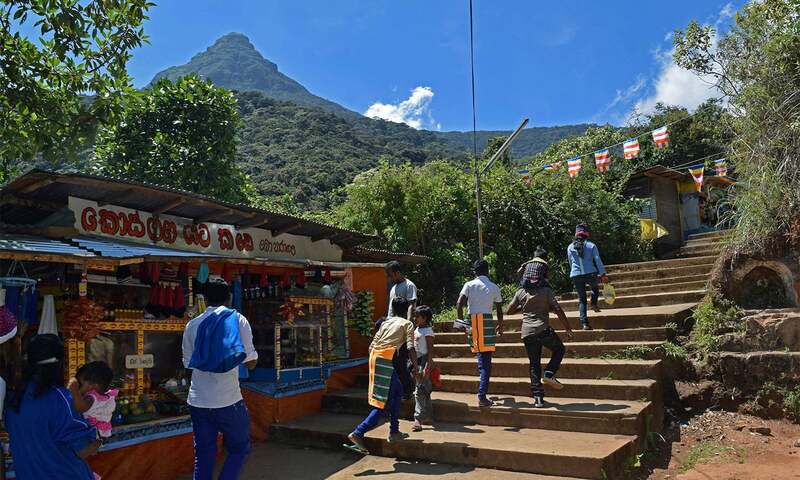 Her climb was difficult and tiring, but she the feeling of making it to the top was “incredible.” She feels those who visit Sri Lanka and don’t visit Adam’s Peak lose out on the island’s real charm. Mearinna Mea Lubiren, a Christian visitor from Malaysia, had anticipated the climb to be difficult. It was tiring, but she controlled her mind and reaffirmed herself when she saw elderly people climbing without a hint of complaint. 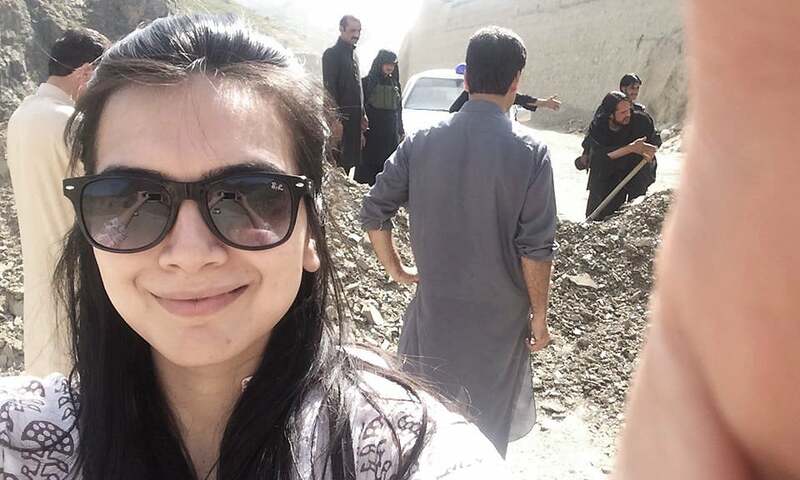 She also felt challenged by the men running errands up and down the mountain’s height: they went back and forth carrying food items, water and gas cylinders. “All of these motivated me, and I managed to climb in four hours,” Lubrien says. There were moments when she had to push herself so smile or laugh when the laugh was actually stuck in her lungs. “It was a battle with my own self, whether I should continue or to give up.” But she didn’t, and when she finally got to the top—“My heart danced with joy and pride.” She felt proud; she had won over herself. 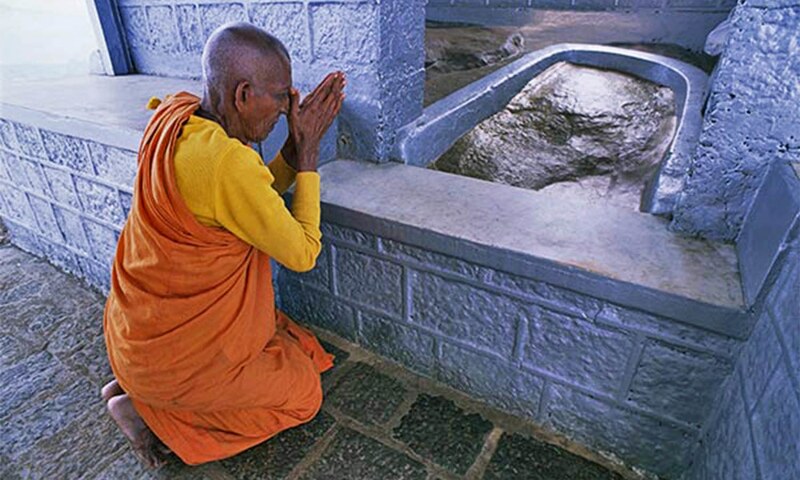 Chandrapala, a 63 year-old Buddhist pilgrim, steadily chants a sacred hymn loudly on his way up. 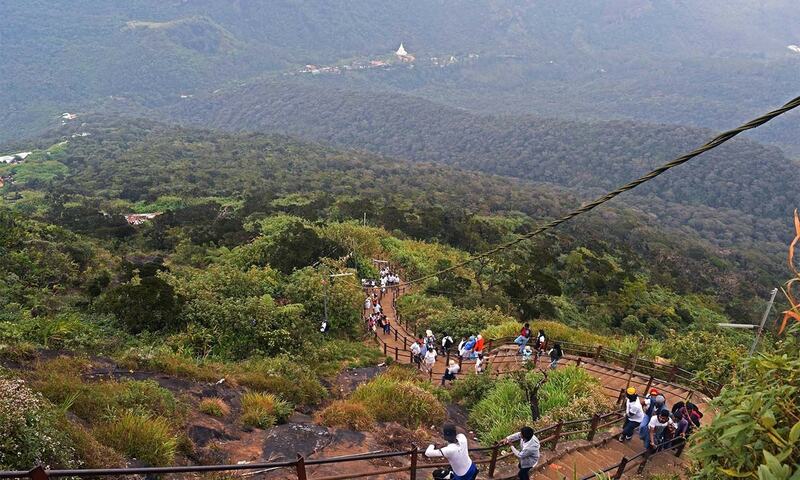 Buddhists believe that Buddha visited the peak during the third and final of his legendary visits to Sri Lanka. “It keeps our spirit high when we climb the Sri Pada singing the holy hymn,” the pilgrim says. This is his third visit—20 years after his last one. Some of the visitors making their way up to see the sacred footprint are Muslim. Ahmad Zaman, a tourist from Pakistan, always wanted to visit Sri Lanka for “father Adam’s peak”. Even though Zaman was tired out by his trek up, he says his tiredness vanished after seeing the footprint. It was a special sentiment he cannot put into words; his eyes were on the footprint. “At last I am here,” Zaman exhales. On the mountain, spiritual fulfillment is not restricted to the individual’s experience. 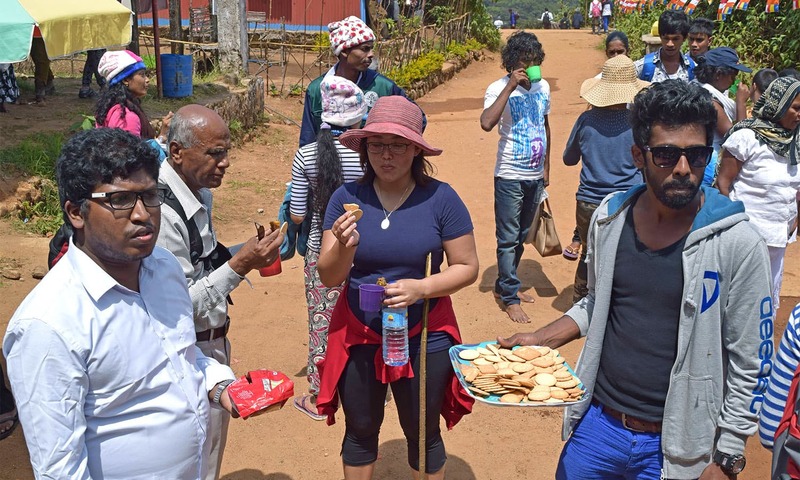 A group of Colombo University students hang around the mountaintop, students, offering tea and biscuits to visitors. “We observe this activity every year based on human service,” the lead student volunteer says. They collect money to buy food for the pilgrims and other visitors who visit for mental peace and satisfaction. Thanks for such an amazing article. Believe me, visiting Adam's Peak was most memorable trip of my life. We got a free foot massage on our way down by local volunteer. I have heard it first time in my life, that it has such a respect for our father. thanks dawn for such an excellent article ,will visit there inshaallah. Photos are excellent. keep it up. As long as they are not killing each other over this it's all good. 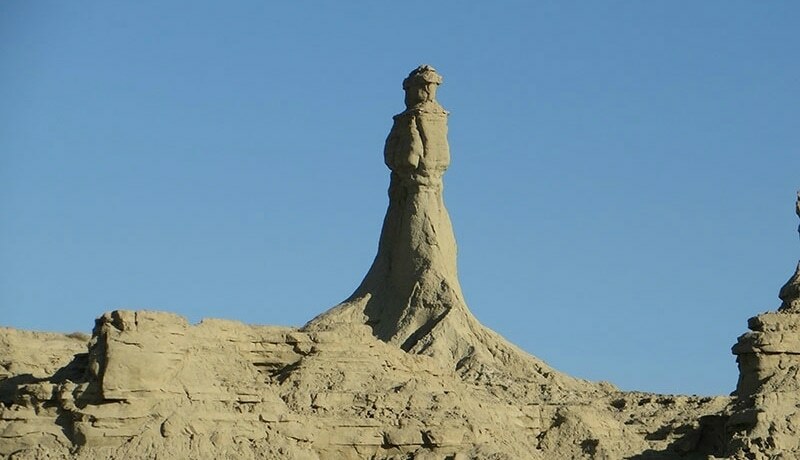 It is just piece of stone. Each to his own. But, great photographs. where is the footprint picture? The visitors should start the climb at midnight to see the rise of sun. It is marvelous and fabulous. Thanks for the great writeup. I have visited Sri Lanka twice, but every time I planned to visit but failed. 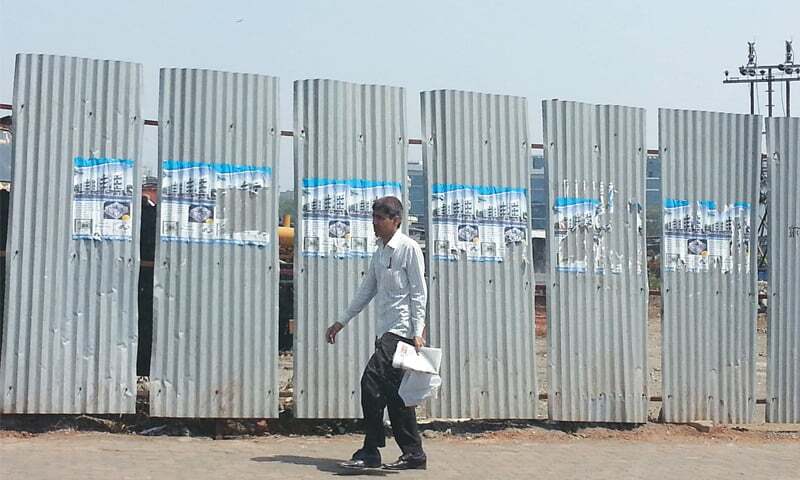 This article and Pics gave me the info we want to know. This is the Only Place where believers of every religion pay full respect. We wish to see this place in next plan. 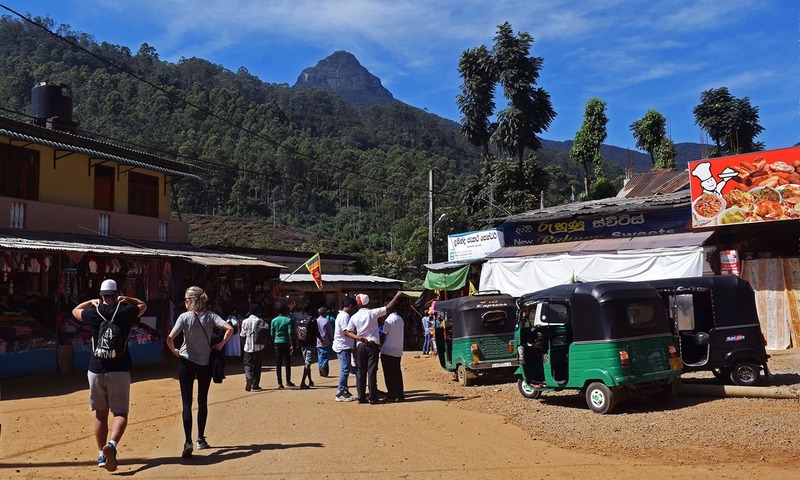 I have visited Sri Lanka Twice, but failed to visit Adams Peak. This article give the lot of info and pics specially the Adams Foot. This is the only place where believers of every religion came and pay respect this place. We wish to plan and visit in our next tour of Sri Lanka. Special thanks to the writer of this article. An excellent write up on " Pul-e-Adam " (AS). Very informative and absorbing. Thank you DAWN. Lord Buddha confined mainly to in and around the following places. Lumbini / Kapilavastu, the place of birth/childhood living; Bodh Gaya, the place of enlightenment; Shravasti, the place he lived for 24 monsoon period and Kushinagar, the place of death and cremation. Buddhism got spread across east Asia on the efforts of Emperor Ashoka and alas ! got decimated in its land of birth, India. I still remember the trip it was tiring and I felt pain for many days later but the trip was splendid and unique.